For high-value properties in seismically active areas, ImageCat offers the SeismiCat seismic risk management system, comprised on the online SeismiCat system for individual sites, and SeismiCat multi-site, a desktop tool for portfolio seismic risk analysis. Real-time Seismic risk management – Seismic hazards, vulnerability and risks are kept up-to-date, available to managers online, including rapid post-earthquake damage estimates for response mobilization. Effective collaboration tool – For insurers, lenders, owners and engineers. Everyone sees the same data, simultaneously. A bridge from insurer to engineer – Structural Engineers and other professionals provide real, site-specific data, for higher confidence results. 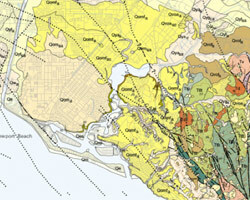 Full multi-site seismic risk capability – In SeismiCat multi-site. The online SeismiCat system is a subscription-based tool for individual buildings for use by engineers and financial analysts with access to Structural Engineers. Engineers assemble detailed information about seismic hazards and about the vulnerability of the building structure. The detailed property data is saved and can be used in portfolio seismic risk analysis, or to produce near real-time estimates of risk after an actual earthquake has occurred. 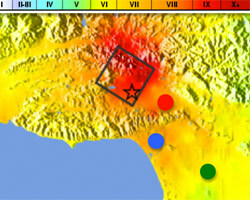 SeismiCat multi-site is a desktop tool for portfolio seismic risk analysis. SeismiCat multi-site has full earthquake insurance capabilities, producing risk curves and average annual loss estimates for various stakeholder positions: ground-up, gross (insurer) loss, owner-retained loss, and lender loss.